Curradine Barns in Shrawley, Worcestershire is a romantic and rustic barn wedding venue. 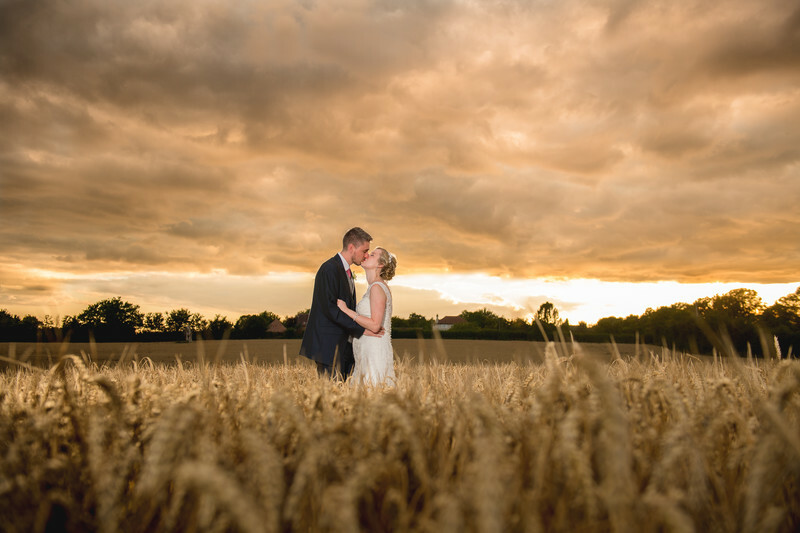 Set in rolling Worcestershire countryside, it's a fantastic venue for weddings of all sizes. 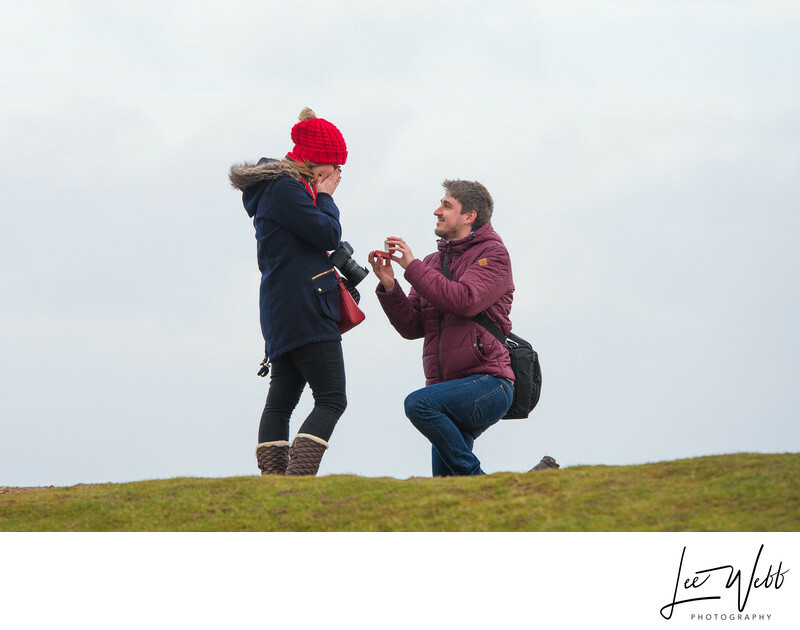 When I was taking the main photo for this article, we were in the wedding suite at Curradine Barns, which has a large window on one end that looks out over the car park and the surrounding countryside. The room itself was relatively dark, especially compared to the bright light coming in through the window. I knew that if I were to place Laura in front of the window, the majority of the room would appear almost black in the photo, leaving Laura to stand out, as she deserves. 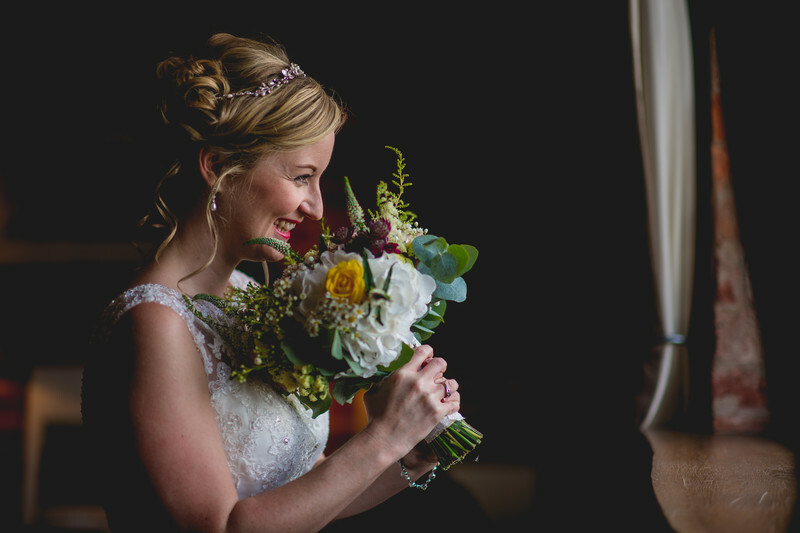 As I was taking photos of Laura, she went to smell her wedding bouquet whilst looking out of the window. At the same time, the bus ferrying the wedding guests from a local hotel to Curradine Barns turned up just outside, causing Laura to show the massive smile you can see here. 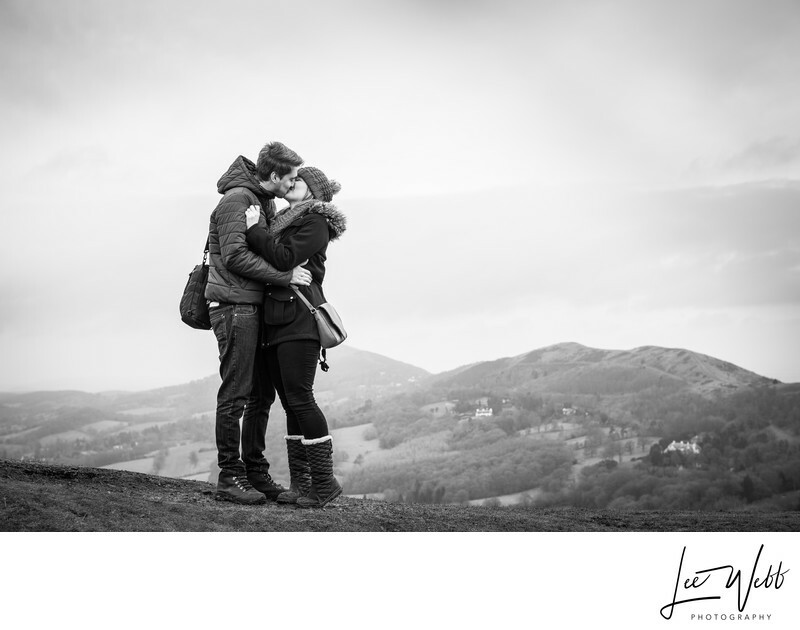 I had a fantastic time at Scott and Laura's wedding, and it was a fitting end to their engagement, at which I had been at the very beginning of too, when I was asked to photograph Scott's proposal to Laura on top of the Malvern Hills at the end of 2014.